“Fall” remains my favourite time of year. This is due to the dark and rustic nature of the prevailing colours for the season – from black and browns to grey, taupe, even red and mustard yellow. The call of “Fall” is a strong one and I look forward to it every year. Even though we don’t exactly have “Fall” here in Africa, I still love the fact that weather gets cooler, the darkest of colours and warmest of colours are usually in full array and we get saved from heat for a while. Just like “Summer”, when “Fall” comes around makeup looks change and so we have to get with the season. This year we have had a proliferation of berries, reds, golds, oranges and even black lip colours on the runways but I think the perfect look for the cooler weather is coloured sparkly eyes, flicked liner and a burgundy lip. Some product and brand favourites of mine which are part of my fall must-haves are used to achieve this look. I only wield them on special occasions, but I am sharing them in this post specially for you. 1. A layer of MAC Fix+ on the face prior to foundation application right after moisturizer gives a ‘locked in moisture’ feeling to the skin and is great for dewy, natural skin foundation look. 3. For the light concealer texture we need for fall, this is your go-to product. Just warm a little of Mary Kay Concealer with your fingers and apply under your eyes and anywhere else in a tapping motion. 4. In fall, substitute blush for highlight on the cheeks. The best way to avoid highlighter sitting on the skin is to opt for a liquid product. Benefit High Beam from Benefit Cosmetics is my choice. 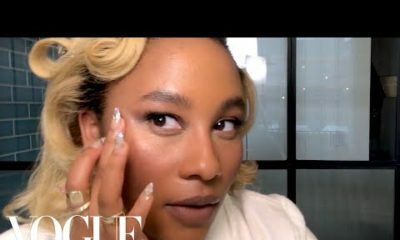 Using the ring finger, lightly dab a drop of High Beam on the upper cheeks right after foundation and concealer and watch it dissolve into the skin. 5. For eye shadows, the Bobbi Brown Chocolate and Laura Mercier Merlot are perfect eye companions for fall. It is matte and packed with enough pigment to enable you use them on your face as a contour and blush respectively. Pair either of them with the Bobbi Brown Chrome eye shadow in Silver for a light, coloured sparkle on the eyes. 6. Creamy, long lasting, water-proof and easy to apply, the Asta gel liners by Hegai & Esther are perfect for fall. Using the enclosed applicator, create feline lines to accompany your sparkly lids. 7. Voluminous lashes transcend all seasons and so does Maybelline Colossal Volume mascara. If people have to peer closely to see your lashes, this product should be your best friend. This is an absolute favourite for full and glamorous lashes. 8. 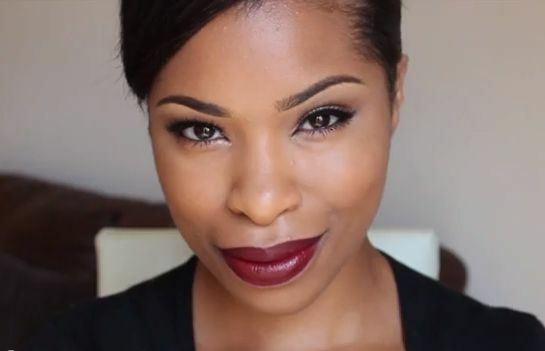 The first burgundy lipstick in my makeup arsenal was the Bobbi Brown Merlot lipstick. It is creamy, smooth, provides full coverage when applied in layers and is moisturizing. 9. Lastly, for that next to nothing powdered look, use the CRC (Camera ready Cosmetics) Loose Powder. It is scent free and so smooth it literally feels like air when applied with a large powder brush. 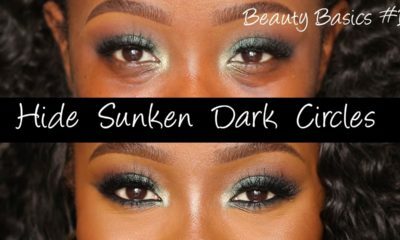 In this lookalike video, Shirley B. Eniang shows us how she achieves a variation of the perfect “fall” look. What do you think? Is this “Fall” makeup something you would like to try? Let me know. 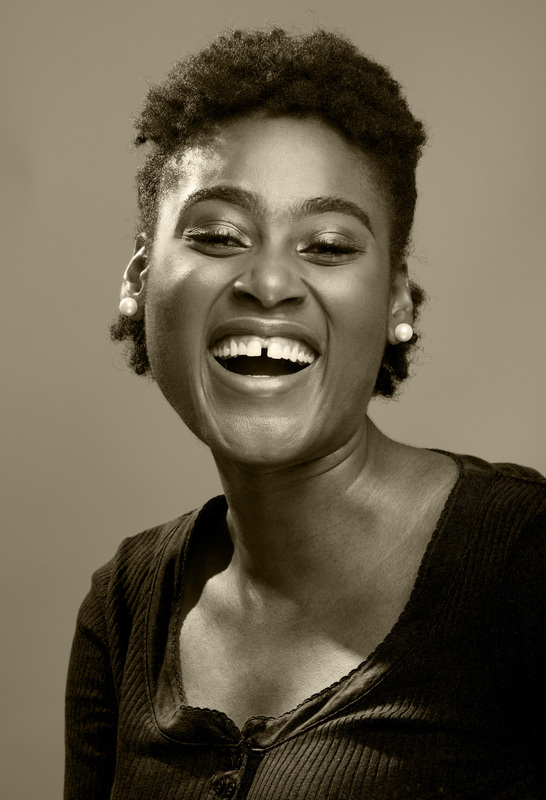 Barbara Onianwah is an Advertising and makeup professional. 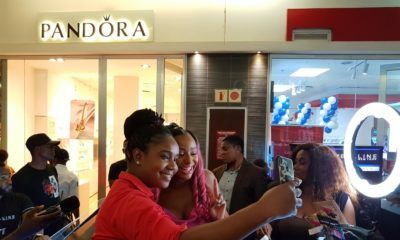 She spends her days as a Client Service/Digital Marketing professional in one of Nigeria’s bigger Advertising Agencies and her nights as a Social Media afficionado who straddles between using the internet to build her personal brand – Barbara & 1923 and helping various Clients build their online presence. She is also a proficient beauty writer and writes for WOW magazine and styljunki.com. You can find her on her blog www.barbara1923.com | Twitter – @piriye | Instagram – barbara1923 |Pinterest – Barbara1923. Fall?!!! Really??? Can we just be real to ourselves? The constant need to identify with every thing foreign is just sickening please. Would the writer also come up with something for winter?? There are seasons in Nigeria. ..harmattan…rainy season…etc. Are we ashamed of the beautiful seasons we’ve been blessed with simply because they don’t have fancy names such as autumn, winter, spring and summer? Beauty Tips for Harmattan coming soon! with you Deevah……………………… and bella while you’re at it, tips for dark skinned females would be appreciated……..and i dont mean ‘clarified’ dark=mocha choca latte……..MBA!!!!! dudu proper!!!! Thanks Much!!! did she google her article or lift it off a magazine? Please there are a lot of dermatologists and cosmetologists in Nigeria that are better qualified. BN please we expect better. Who says Harmattan or raining season are African invented? Their lips thou! hahahahahahahahahahahahahaha @fall and autumn like seriously!!! !puhleeeeease We need originality!